PSSOU Time Table 2019 – PT Sundarlal Sharma Open University has released the Final Time Table for TEE June/July 2018-19. Students can check PSSOU Time Table from this page. As per the tentative timetable, the university is conducting the exam from June 11, 2019. The exam will be held for three hours and will be conducted in two sessions, “Morning and Evening”. A student will be eligible to appear for the university exam if he/she put the maximum required attendance. The eligible students have to submit the exam form and fees before the last date. No application will be accepted after the last date. Check the page for PSSOU Time Table 2019. Latest: PPSOU has released the final Time Table of Term End Exam (TEE) Session June-July 2018-19 (UG, PG, UG & PG Diploma). Candidates can check the timetable to know the exam time, dates, day, session, and subject name. PSSOU Time Table is important for the candidate who is pursuing in the university and the registration is valid for the course. The candidate must submit the assignment in order to appear in the exam. Candidates appearing for the exam can use PSSOU Previous Question Paper for the preparation purpose. The procedure of downloading and checking the timetable is mentioned below. Check the table for PSSOU Date Sheet 2019 and Notification. Time Table: Students can check PSSOU Exam Time Table online at the official website. How to Download PSSOU Time Table 2019? Click the link provided above for PSSOU Exam Routine 2019 June – July 2019. Students can even check the exam time table from the official website and their study centre. To check PSSOU Time Table 2019 form the official website follow the steps. Finally, the Final Term End Exam Time Table is available now. Candidate can check their course exam date and time. Candidates appearing for the exam must prepare to qualify in the exam. Make good preparation tips for the exam. Below some exam tips are provided by us. PSSOU Admit Card 2018 is an important document to carry on the day of the exam. The students without the Admit Card / Entry Letter will not be allowed to attend the term end exam. The Admit Card can be downloaded from the official website and it can also be obtained from the official website. Pt. 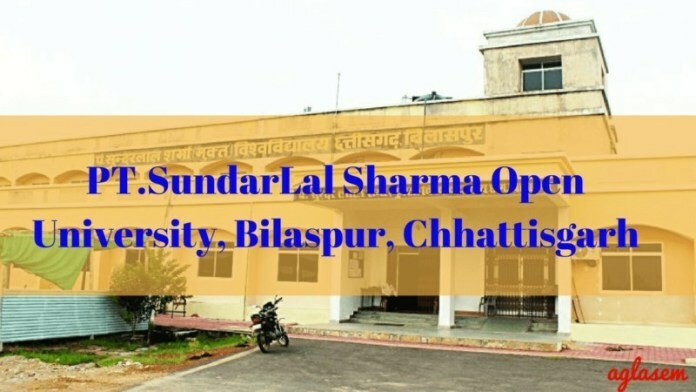 Sundarlal Sharma Open University releases the Amit card 10 days before the exam. Check PSSOU Admit Card 2018 page for more detailed information.